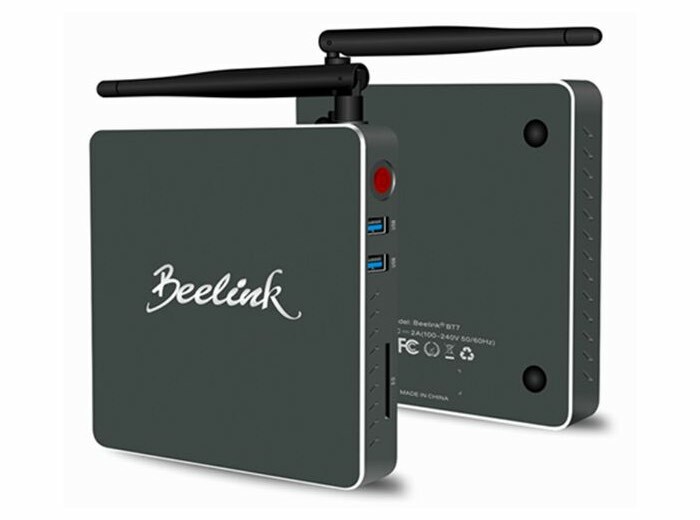 Beelink this week unveiled a new addition to their range of desktop Windows 10 mini PCs with the launch of the new Beelink BT7 that is now available to purchase priced from $170, with prices increasing depending on the storage configuration you opt for. The Windows 10 mini desktop system is powered by a powerful Intel Atom x7-Z8700 processor which is supported by 4GB DDR3-1600 of RAM and Beelink offers storage options to install either 64GB, 128GB or 320GB solid state storage drives depending on your requires and budget. The small desktop computer measures just 4.7 x 4.7 0.9 inches in size and features an aluminium enclosure which also provides access to Gigabit Ethernet, 3 x USB 3.0 ports and a HDMI. 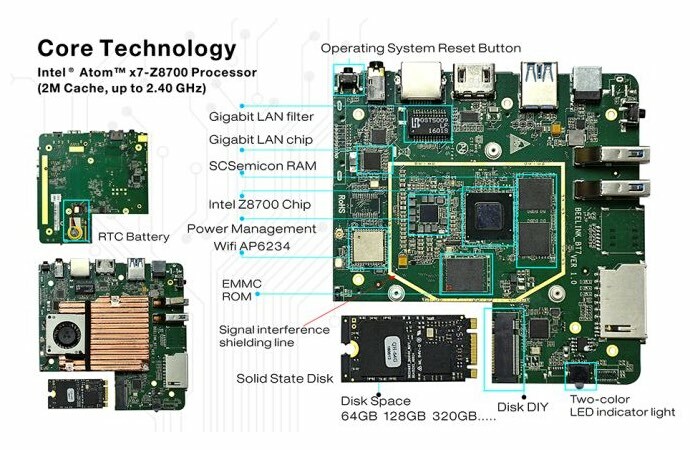 With connectivity provided by both Bluetooth 4.0 and wireless connectivity supporting 802.11b/g/n standards. The Beelink BT7 Windows 10 desktop mini PC is now available to order from the likes of AliExpress and Gearbest as well as other online stores with the top system in the range priced at around $250 and all system s coming pre-installed with Microsoft’s latest Windows 10 Home operating system.